More than a century ago, Kansas farmers recognized the need for a unified, grassroots voice. That grassroots voice drives Farm Bureau's involvement and impact on public policy issues that affect our members' farms and communities. 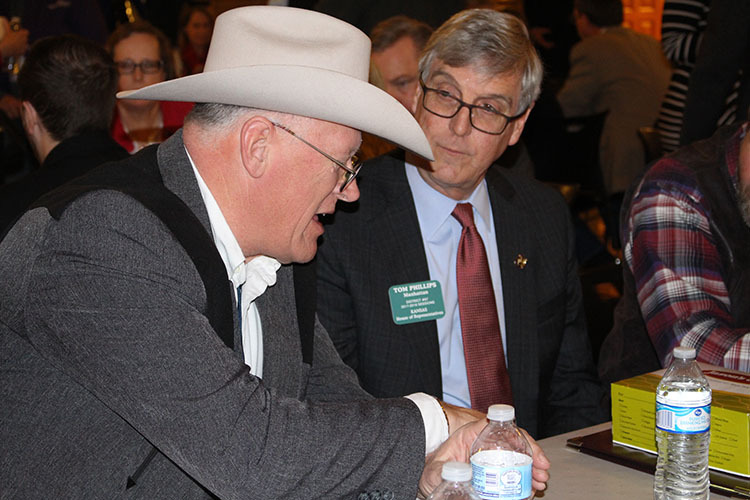 Members can voice their opinions as Farm Bureau develops its policies through the organization's year-long policy development process. State Resolutions Committee members collect input from county Farm Bureaus and members throughout the year. This input informs the work of the committee, which researches and drafts policy that voting delegates discuss and vote on during our annual meeting every December. After creating Farm Bureau policy, our members and staff work tirelessly to enact it on local, state and national levels. From local legislative coffees at home to trips to the State Capitol and Washington, D.C., our members advocate all year to implement policy that benefits farms and rural communities.